Floors are undoubtedly among the most important parts of residential, commercial and industrial structures. Keep in mind that floors take the brunt of daily activities and, thus, these are the first parts that will show wear and tear. The importance of making the right choices in flooring solutions cannot be overemphasized, indeed – and it starts with browsing the flooring solutions with the Quick Step brand available at Liberty Hardwood Floors. 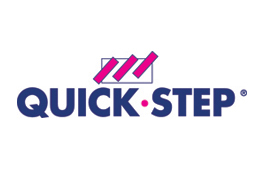 We are proud to carry Quick Step’s comprehensive line of flooring solutions. 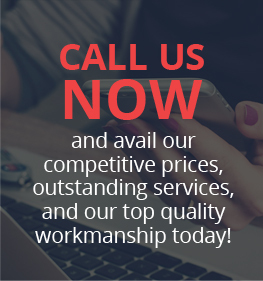 We are, after all, committed to becoming the leading supplier of durable, affordable and beautiful flooring products in New Jersey and its surrounding areas. Our partnerships with world-class manufacturers of high-quality wood flooring products are for your benefit, our discerning customers who know their needs and wants in their residential and commercial buildings. Why purchase Quick Step flooring products? These laminate wood floors have revolutionary locking system that helps prevent water damage and even our ScratchGuard™ Advanced Finish Protection that shields them from everyday wear and tear, thus, ensuring that your floors will last for years and years to come. These floors are also beautiful to look at with their attractive natural grains, sheen and textures as well as highly resistant to wear and tear, impact, burn, fading, staining and household chemical. With its selection of laminate wood floors manufactured with longer plank lengths of up to 54 inches, the finished floors will have a more authentic look of true hardwood. The laminate wood planks are suitable for indoor and outdoor applications in the New Jersey climate, from the patio to the living room, kitchen, and bedrooms and to the deck. And if you are the patriotic kind, you will appreciate it that the Quick Step products are proudly American. You will feel good about choosing these flooring products because you are part of creating jobs in the United States. The collection is composed of 2-strip and 3-strip planks with design layer finishes including Vermont maple, acacia, chestnut, and oak, among others, offering a real hardwood mimic. The construction method used resulted in beautiful flooring materials with a narrow-strip hardwood appearance, which are also durable, resilient and versatile. The collection comes in two types, namely: first, hand-scraped laminate planks with textures that accentuate the wood’s distinctive grain while also replicating the look and feel of artisan-made planks; and second, soft-scraped laminate planks with subtle sculpted finish and a vintage effect. Choices include sesame maple planks, morning chestnut planks, and rustic sesame planks, to name a few, most of which have surfaces that look and feel like authentic hardwood. The collection consists of laminate finishes of foreign and domestic exotic species as well as oak flooring. The planks are extra-long up to 54 inches, which allows for a genuine hardwood effect when installed. The square edges and ends contribute to ease of installation and seamless transition between each plank. Choices include maple, Brazilian cherry, and tropical koa. Other collections in the Quick Step line-up are Home & Home Sound with premium underlayment; Modello with designs that mirror natural wood grain patterns; and Sculptique laminate floors with their pressed bevel and soft-scraped construction. Call us or visit our New Jersey showroom now for more information about Quick Step flooring products! You are taking a step in the right direction!